Motherhood hasn’t been easy for Molly Anderson, and the years since the loss of her second child have been a particular struggle. But six months after moving from New York City to sophisticated Ridgedale, New Jersey, she’s finally enjoying life again, as mother of a five-year-old daughter and fledgling arts reporter for the local paper. 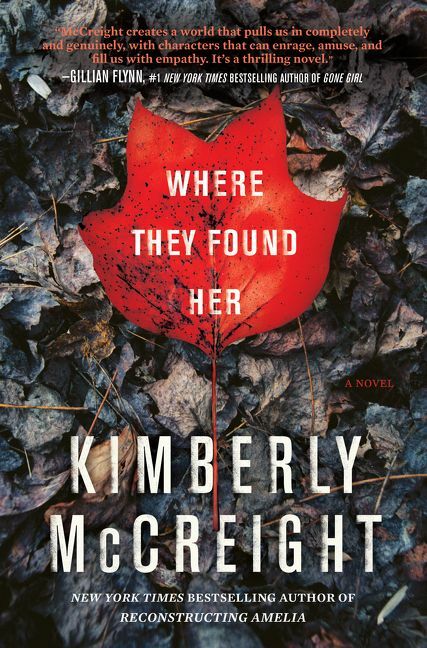 But this tenuous stability is threatened when the body of a newborn is found in the woods behind prestigious Ridgedale University and Molly is assigned the story. Over the objections of her increasingly concerned husband, Molly dives into reporting, determined to prove herself by uncovering the truth. What she finds is a decades-old trail of dark secrets that winds through every corner of the town. Told from the perspectives of Molly; Barbara, wife of Ridgedale’s police chief, whose faltering son is unraveling her picture-perfect life; and a sixteen-year old high school dropout, Sandy, who is dealing with her wayward mother, Where They Found Her reveals that the tragic truth about what happened to the baby lies at the unexpected intersection of these three very different women’s lives. It is a taut and profoundly moving novel about mothers and daughters—the fierce bonds that unite them and the deceit that can drive them apart. But most of all it’s about the heartbreakingly high price of history. The past can be artfully denied, but never truly buried.